Are you interested in lawn care in Dallas? Engaging a professional lawn care service is one thing but to get the expected results you need on your lawn yard is another. In this post, we have discussed the top Five skills every professional lawn mower should have. This list isn’t absolute but considering these skills before hiring can save you a lot of potential headaches. At the forefront of the skills, every professional lawn mower should have is being professional in delivering lawn care and maintenance. As a service provider, a hired lawn mower is expected to dispense lawn care and maintenance in an efficient, professional manner without issues. When a professional lawn mower lives up to expectations, the possibility of having a repeat business is increased. 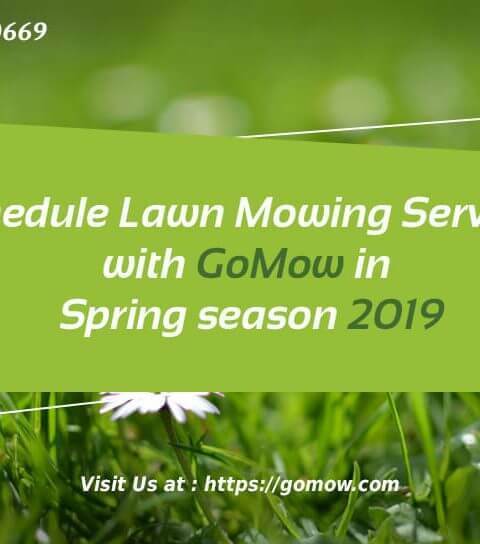 This is beneficial to both the lawn service provider who gets more money from the client and the lawn owner who might get discounts or bonuses for hiring on a retainer basis. When a lawn owner decides to use a professional lawn care service, they expect to get the best level of expertise for their money’s worth. A professional lawn mower should be an experienced expert in lawn care matters. This is a no-brainer as without expertise, delivering quality work is almost impossible. Ask for reviews and recommendations before hiring your Dallas lawn care service. In addition, you save yourself some precious dollars when you engage lawn care experts who know their craft. Time is irreplaceable and as such, it is important in all aspects of human interactions including service delivery. Ensure that any lawn mowing service you use delivers their lawn care and maintenance routines in a timely manner. There have been cases where some lawn care companies take almost forever before they show up to provide lawn care and maintenance. Obviously, lawn services that are not timely may lose repeat business as a consequence of it. 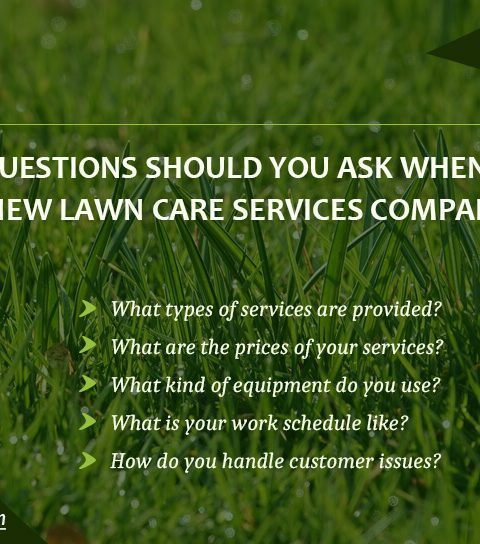 To put timeliness in perspective, consider the following questions when hiring a lawn mowing service in Dallas. How fast does it take to mow a lawn? How long before arriving at the lawn yard? How long to resolve issues? As a service delivery professional, integrity is important when dealing with clients. Being accountable for your work and word will build trust in clients, making them more likely to use your service again. Integrity in this sense means delivering lawn care according to agreed terms and conditions. Integrity can increase a lawn mower’s KLT factor leading to a sustained business relationship for the lawn care company. When you hire our GoMow lawn care service, we are committed to keeping our word. 5.) Friendly and sociable – put a smile on the customer’s face. 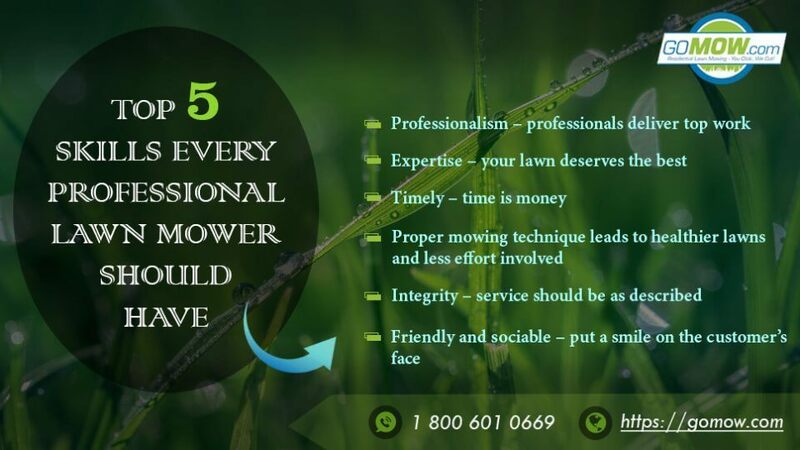 If a lawn mower is friendly and sociable, you can be certain that lawn owners will be more likely to hire their lawn service whenever they need professional lawn care. The good news is that being friendly and sociable can be cultivated into a trait. Besides being great for a professional, being friendly can open closed doors more easily. Customers want to know that they are being attended to by a warmly human and not some robot. Consider it a plus if your Dallas lawn service of choice has friendly and sociable lawn mowers. 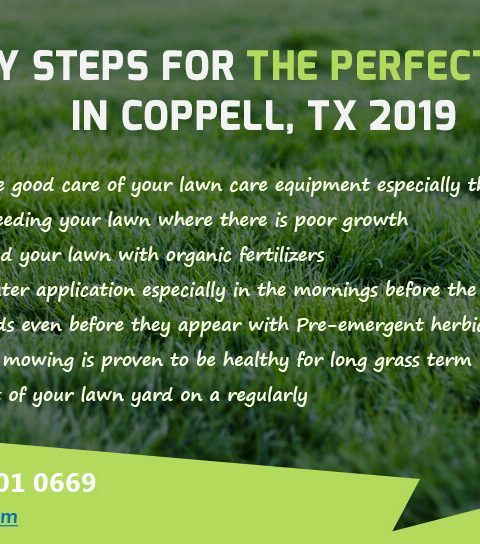 Do you need lawn care in Dallas? Look out for these top 5 skills every professional lawn mower should have!